Bluetooth, Air Conditioning, Cruise Control, Power Windows! This 2013 Honda Fit is for sale today in Amherst. You could say that the Fit is synonymous with fun. It's fun to drive, full of fun tech features, and has room for fun when you're riding with four of your friends. Plus, it's even fun to park. All those small spots will suddenly feel bigger. Add in Honda-tuned handling and this is a ride you'll want to share. 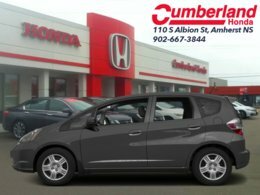 Plus, with impressive fuel economy ratings and Honda's legendary safety features, the Fit has a good head on its shoulders. This hatchback has 115654 kms. It's gray in colour. It has an automatic transmission and is powered by a 1.5L I4 16V MPFI SOHC engine. This vehicle has been upgraded with the following features: Bluetooth, Air Conditioning, Cruise Control, Power Windows. Our Fit's trim level is LX. The mid-range LX trim adds some nice features to this Fit. 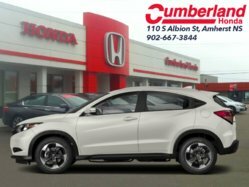 It comes with an AM/FM CD/MP3 player with an aux jack, air conditioning, Bluetooth mobile phone interface, heated power mirrors, remote keyless entry, steering wheel mounted cruise control, power windows, power door locks, and more. 1.5L I4 16V MPFI SOHC - 4 cyl.